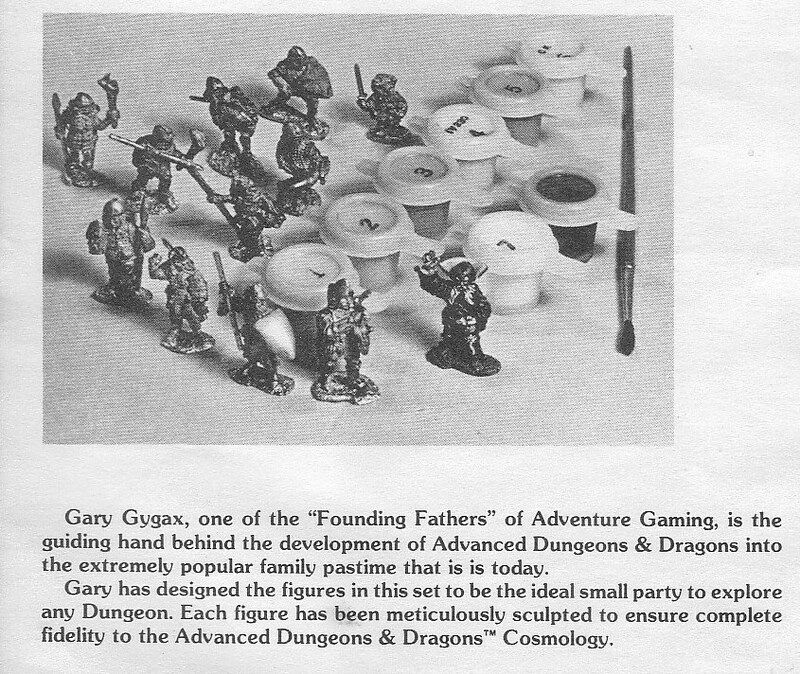 You can read the box insert below, and the painting guide more or less repeats this: “Also note that the figures in this box were designed by Gary Gygax, the ‘Dean of Dungeoneering,’ thus they form the perfect basic explorers party.” I’ve heard Gygax didn’t really use miniatures much himself for D&D (as opposed to Chainmail) although it sounds like he didn’t oppose their use. So, What does Gary think a good party might include? The first thing you’ll notice is that the party is almost entirely human. EGG’s disdain for “demihumans” has been commented on elsewhere. Nothing surprising here. In all my years of gaming, though, D&D parties have tended to look much more like the Fellowship of the Ring than like this. From what I can tell most D&D parties are heavily non-human nowadays too. 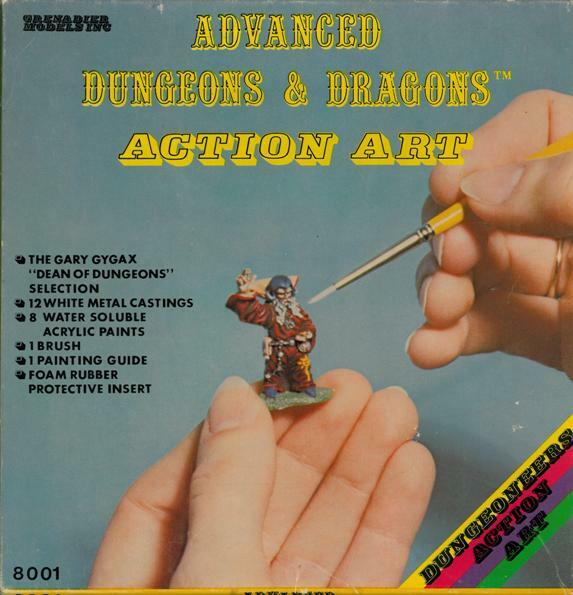 The WotC editions of D&D (3e-4e) seem to encourage specific demihumans depending on the class you choose, but 4e also makes humans more attractive than 3e, IMO. Anyway what does Gary think a party needs? 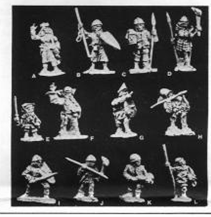 I’ll describe them in the order they are listed on the insert, and rely on the descriptions in the painting guide for what they “are.” This smaller image from the 1982 Grenadier catalog will serve as a reference too — I’ll add the letters below to each description. So there you have EGG’s ideal adventuring party. Heavy on the fighter types, and many use missiles, with just three spell casters. I still have most of these guys, although the spears and swords mostly broke, and my thief is MIA. At some point I’ll photograph them once they are all painted. Great set! Great find, stuff like this, that goes back to the early days, is so inspiring. Gah! I had that set! Crippling nostalgia GO! Man, great memories. 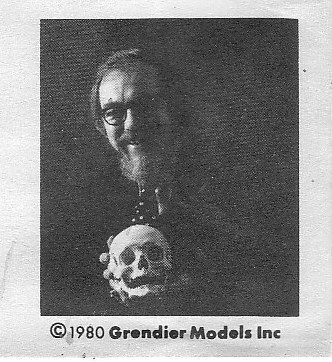 I owned most of these figures at one time, and one or two still might be lurking at that bottom of my mini case/tackle box.